Fellow teacher and poetry enthusiast Jason Stephenson and I would like to once again invite all educators, students and authors to help celebrate poetry in the classroom by participating in a worldwide Blackout Poetry Event on Twitter and Instagram. You can find more information about how cool Blackout Poetry is by going here, here and here. Here are some examples of Blackout Poetry. Stock up on markers and get creative! 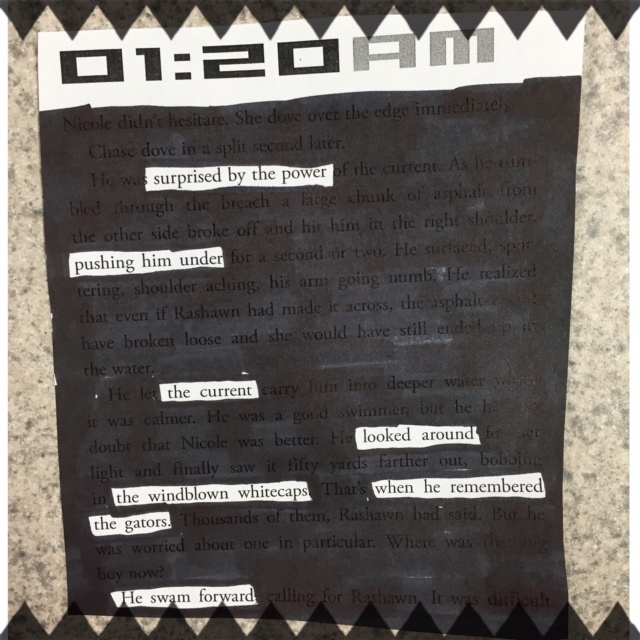 We’d love to see you do a blackout poem of a page from your favorite novel, a newspaper article or something lying around your home. Students from all over the world will be participating and sharing their love of words. Please contact @blackoutpoets, @lesleymosher and @teacherman82 for more information. #LoveAThon Mini Challenge #6: LoveAThon Awards! I am going a little rogue for our last challenge so watch out. Instead of giving awards for all of the individual categories, I’d like to recognize everyone that participated in this amazing event. #LoveAThon Mini Challenge #5: Letter to Myself! For this challenge I am supposed to write a letter to my future self about this blog and where I want to see it go in the future. Kind of awkward, but I do have a vision for this blog and want to see it happen! So after 8 months of blogging I have some goals and wishes for the future of Literacy Love. I’m sharing them with you in hopes that we can make them happen! Here’s what I’m thinking…. Write 3-4 book reviews every month. Keep writing ICYMI and TTT posts at least every other week. Bring back Literacy Loot posts – they are fun! Don’t be so critical about your writing by deleting unfinished posts when you get stuck. Give them a few days to sit and then come back with fresh eyes to finish them. Share more about what happens in the classroom on a daily basis, and not just when we do huge projects or activities. Try to connect more with publishers and authors to review books. Continue connecting with other teachers and book bloggers! You learn so much about blogging just by reading other blogs. Make more book blogger friends by commenting on posts too. So nothing earth shattering here, but I really do want to make my blog into something really, really cool. I have so much fun with it but also stress out way to much while writing posts. I am my worst critic and need to get over it! 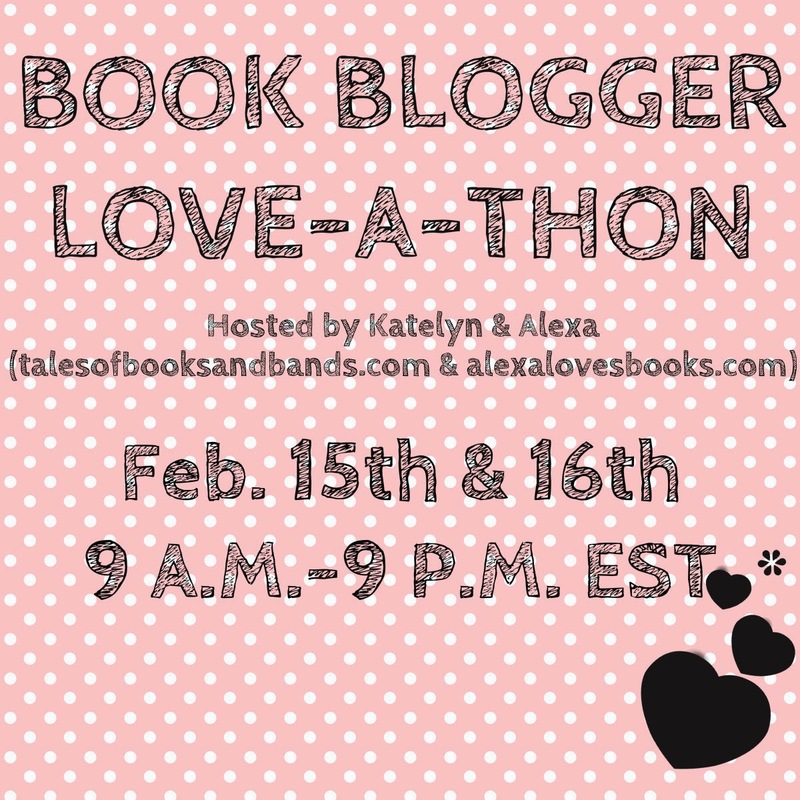 #LoveAThon Mini Challenge #4: Mash Up! Mini Challenge #3: Mash Up! For this challenge I am mashing up my bookish life with a non bookish passion. I have a lot of things I like to do besides read – and traveling to new places is probably my favorite. We’re going to Toronto over spring break and are really excited. I also like trying new things, and I planted my first garden last summer and it was a great learning experience. We had the ingredients for fresh salsa all summer long, too! When the weather is nice, I love to be outside. We ride our bikes on the local paths and are planning a lot of hiking trips this summer. I am also a pretty good cook. I enjoy trying new seasonal recipes and my husband is a great taste tester! Because I love to cook and try out new recipes, I’ve decided to create two lists – first, my go to blogs for recipes *and* my ultimate guest list of authors I would love to host at my very own author dinner party! All pictures link to blogs. My number one go to for recipes. I have never been disappointed with a recipe from this website. Great quinoa and orzo recipes. I tend not to eat a lot of red meat, but my favorite on this site is the Beef Stew recipe and it is perfect for this ridiculous winter that we have had in the midwest. Ree always has delicious food featured on her blog and her photography skills are stellar! I love following her on Instagram to see all of her Oklahoma sky pics! I’m obsessed with the recipes on this blog! I just wish she would post more often. Great stuff here! I mean, the chocolate cake?! Are you kidding me? All book covers link to Goodreads. and all of their significant others! This will be one rockin’ party! Cheers! I tried very hard to do this randomly and in true Mad Libs style. Confession – The first thing I wrote down for “pet name” was “Rover”, thinking that it meant for an animal and not significant other. I almost left it in there… Fun times! One day, I was eating with Warner. Out of the blue, a bird came out of nowhere! It was so loud, stringy and silly. At first, we were afraid, we were petrified, but we swam. We hopped on our bikes. As we escaped, we turned up the radio because Yankee Doodle came on and made me sleep. Everything was extremely smooth sailing until an orangutan appeared in the middle of the road. We swerved to avoid it, but while Warner stayed on his bike, I got thrown onto my side in the woods. I couldn’t get up, and felt yelllow as I lay there staring up at the trees. What was I going to do? I heard a trickle among the leaves, and felt gracious. Surely, this was going to be my end. As my eyes fluttered shut, the last thing I saw was a head of blond hair and green eyes. He came over to sit by me, and we started talking after I told him my name. We chatted about sang, cooked and swam and realized we had a ton in common! I thought he was pretty and couldn’t help feeling a little swoony. Just as he reached out for my hand, the door crashed open and in came Four. “Don’t let him charm you away, my love!” He yelled, running at Levi. They each had rolling pins in their hands and began to fight. “Stop!”, I yelled, feeling so scary. They didn’t listen to me. Before I could intervene, Levi fell to the floor and disappeared in a cloud of smoke. “What was that?” I asked, staring at the empty space. Four dropped his weapon, and came over to me. “Magic, but you are safe now, darling.” He hugged me close, and I suddenly knew that this was the real deal and not just a dream. Just as “My Love” started playing in my head, I woke up. I cursed my blue luck. Why had it only been just a dream?